The Leviathan raid is one of Destiny 2's highest level challenges, offering players the chance to engage in a demanding team activity for the chance to earn the most powerful weapons and armour in the game. In this guide you'll find details on all of the Leviathan raid encounters with solutions to raid puzzles and BOSS fights to guide you through. 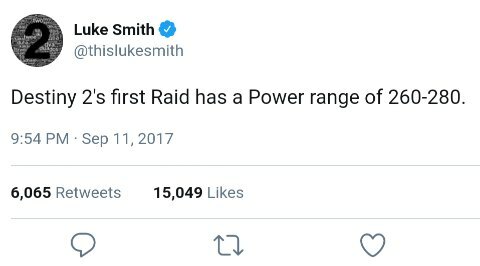 Before venturing into the raid, players should note the recommended Power Level and take time to ensure their guardian is primed for the challenge. This guide will highlight recommended weapons, exotics and sub classes that are best suited to the encounters. You'll receive warnings on the toughest encounters and strategies to deal with each of them. The Leviathan raid takes place inside a giant world eating "catfish". It's an 8 player (max), team activity, with rewards at each and every checkpoint, and one final reward after the last boss. Rewards can also be collected from several raid chests and all rewards refresh on a weekly basis. Players can re-run the raid on a weekly basis for the chance to earn even more gear and fill the gaps in their arsenal. Although Destiny 2's first Raid, the Leviathan is in fact the fifth raid that Bungie have introduced in the Destiny universe. It follows in the footsteps of the Vault of Glass, Crota's End, Wrath of the Machine and The Kings Fall which all preceded in Destiny 1. The Leviathan is however the first we've seen of a Cabal themed raid in Destiny, something which many fans had longed for since the Comet leak in 2015. What's it like playing the raid? For new players the raid activity can be a painful leap in difficulty, well beyond the weekly Nightfall challenge. The raid doesn't just ask for teamwork, it demands it! 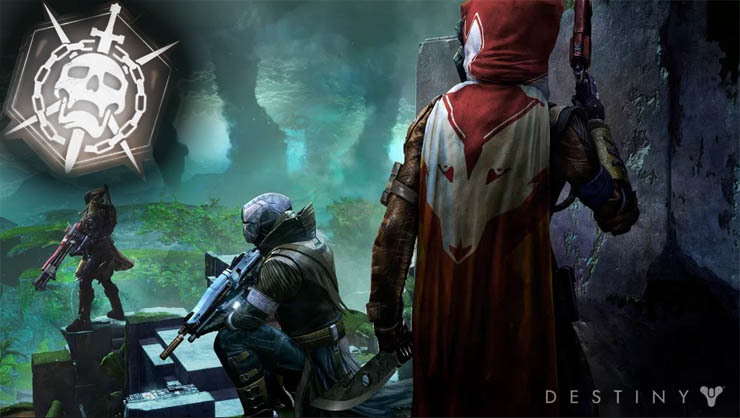 Team puzzles are commonplace in Bungie's creations, challenging players to complete objectives such as holding down areas, splitting into smaller teams and passing buffs as they progress past each of the boss fights and through the many raid checkpoints. Thankfully for new players, the Leviathan raid in Destiny 2 is certainly more accessible when compared to the original game. Not only have Bungie reduced the recommended Power Level (between 260-300) but they have also included "Guided Games", a feature that offers players a chance to team up with experienced fireteams willing to help guide them through. At the time of release (and subsequently time of writing this guide), Guided Games is only available for the weekly Nightfall. Guided games will eventually be opened up for the Raid too, after successfully passing the Beta stage. The following sections contain a detailed walkthrough for each of the raid encounters. There will be details for each of the raid rewards and checkpoints, helping you understand when the next reward is coming and also providing a rough guide on encounter length and difficulty. Upon starting the raid you’ll enjoy a short cutscene before spawning on top of the mouth of the Leviathan. For this part, simply make your way up to the palace entrance and do NOT kill anything along the way. Save your double jump to avoid a death fall after the cannon fling. At the end of this part you enter the first real raid area, the Castellum. A multipart section that requires a bit of offence and a bit of defence. The ultimate goal of this section is to collect three keys and bring them to the main triangular plate. Upon entering the Castellum, which is a large open room, take a left, and note the small flight of stairs. At the top of the stairs take another left and note the plate that looks like a triangle. One of the shapes will be illuminated: sun, axes, or dog. Split your fireteam into two. One team for defense and the other for offense. The defense team stays on this triangular plate whilst the offense team finds the matching symbol plate in the large area. Once found, the offense team stands on the plate and waits for a Bearer. Kill him to collect one of the three keys you need. Bring the key back to main defense plate and defend against standard bearers. The ground lights up again, pointing you to the next plate symbol you need to stand on. Repeat again to collect the second and third keys. Split into two teams, four players, one on each plate and two in the middle. Grab the glowing orb from the middle of the room to get a 50 second buff (Psionic Protection), then stand on one of the plates to gradually raise the chains in the middle of the room. In rally fashion, swap with a teammate in the middle as they move from middle to your plate and you move from your plate to middle to reclaim another buff. Note, only one player can claim the buff at any one time, so time things well between all players so the buff is passed evenly. Everyone will eventually hear a tonal bleep noise. At this point move to the center of the room and do as much damage to the purple "bath salts" on the ceiling. Once a Psion spawns kill him and then kill the next floating Psion (ghost). Repeat the relay process again, collecting buff, standing on plate and ultimately raising the chain. You should be able to beat this step in two rotations. A stealth phase that requires players to build up enough of a damage buff whilst staying hidden from six dogs. Two players need to be up top with the Relic. The Relic shard allows you to stand in the sun spots and deflect the sun onto spores below to empower them. When ready, shoot the spores to explode them, giving your nearby teammates a damage buff. The damage buff increases the longer you deflect the sun onto the spores. Now the problem. If you’re spotted by the dogs they will howl and a 30 second countdown begins. During this phase the dogs will seek out the spores and you'll wipe when the timer hits zero. The dog howling phase also starts if you take too long so being slow and careful also has it’s downfalls. There are two choices during the howling phase. Either kill the yellow bar dogs quickly or use the safe room below the statue which protects you. Make the best decision based on the damage multiplier you have already accumulated and the remaining health of the six dogs. There’s no perfect solution to this, it’s a tradeoff between building up a high damage buff and attacking the dogs early. Choose the method that works best for your team and setup. Probably the easiest part of the raid. The gauntlet is a mini obstacle course, a bit like the 400m hurdles. There are four platforms around the arena, and two portals, one for dog and one for chalice. Kill the ads and mini-boss to spawn the bombs and start the process. Position a player on each of the platforms, and two players acting as a “runner” to complete the circular obstacle course. The runner must pick up the charge and run round the entire perimeter without stopping. Players on the platforms must shoot the arrow targets, allowing the runner player to run around the perimeter unobstructed. If you’re a runner, call out to your teammate the position of the RED coloured circle in front of you. TWO of your teammates must shoot the opposite positions called out by the runner, allowing the runner to progress. E.g. if runner calls TOP, TWO platform players must shoot MIDDLE and BOTTOM arrows simualtaneously. If done correctly the rings change green and the runner can jump through the hoop to progress. As the runner moves around the arena, different players will need to do the shooting because the trajectory changes. If the runner completes the circuit, they go to the centre and slam the relic into the middle sensor area. Do this six times to progress. Players on platforms also have the responsibility of killing the floating Psion. When it appears jump down from the platform and melee the Psion to kill it. Once all six slots are filled with bombs in the middle sensor area, all players must go down and pick up a charge. All rings will be green at this stage and you must all attempt to run the obstacle course. There will be new obstacles this time with players needing to jump over them to progress. Successfully completing a circuit allows players to slam their charge back down in the middle. This is by far the hardest part of the raid. It’s a technical boss fight on par with the King’s Fall raid. Upon starting this area, four Psion’s spawn on top of one of four platforms. There is a platform for: Sun, Dog, Chalice and Sword/Axe. 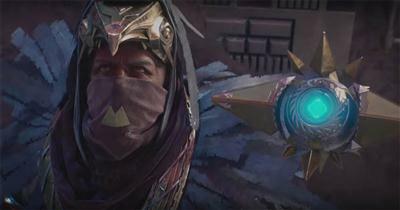 Players must kill the correct Psion to proceed to the next phase of the fight. Two functions to describe here. Players on the inside and players on the outside. After killing a Psion half the team are split up (teleported) to an outside area with a large ghostly head. Players outside need to communicate the missing symbol on the forehead to the players still on the inside. For example, if the players on the outside see Sun, Dog and Chalice on his forehead, then the missing symbol is AXE and this must be called out for the inside teammates. Note, each of the outside players sees a different symbol so communication is essential. The inside team then kills the Psion with the matching symbol. The outside players must now shoot the skulls which spew out of the ghosts mouth. These give you a damage buff multiplier which is essential for hurting the boss. After teleporting back, everyone stand together on one of the platforms where the Psions were. Then gradually move from platform and to platform, shooting at the boss as you move along. Do not fall down from the platforms or you won’t do any damage. If you do enough damage (? of health), he buckles over and exposes his chest mechanics. This is now the weak spot. Keep shooting but when you start seeing “Immune” get off the platforms and start killing ads for ammo, ready for the next phase. Rinse and repeat the above until you have completed roughly 3-4 damage phases. There is one final phase when Calus has zero health. He will start a glowing charging attack now, so focus fire on his stomach when he’s glowing. Use all Super, grenades and powerful weapons to ensure the job is done swiftly otherwise you’ll wipe and many tears will be shed!